For more than 100 years now, Ford Motor Company has been selling mass-produced automobiles in the United States and around the globe. Known as one of the Big Three American manufacturers, Ford has attracted millions of loyal customers with a wide range of dynamic and innovative products that offer considerable value for the money. The automaker's trucks and SUVs have been especially popular. For decades, Ford's F-series truck has been the best-selling vehicle in America. 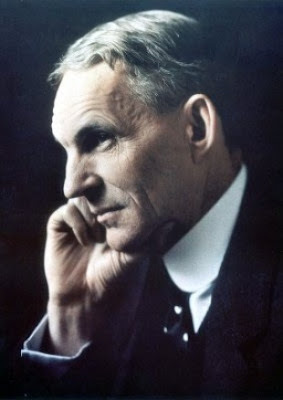 The company was founded by Henry Ford in 1903. Ford dreamed of building a car for the masses, and that's precisely what he did. Begining with 1930's model A, the Michigan based company gradually rolled out a lineup of conservatively priced vehicles that were typically named using the letters of the alphabet. perhaps the best-known Ford of this series is the immortal Model T of 1908-1927, which was bought by 16.5 million Americans during its 20-year lifespan and was affordable enough for Ford's own factory workers to purchase. Ford's early years were also distinguished by its introduction of the moving assembly line. It was the first to utilize this more cost-effective method of production, and its innovation became a mainstay of the manufacturing process.